For young projects from 1 to 5 years old. This prize is for young community groups, organisations, networks and businesses that have a proven track record and which are seeking more funding to expand or develop. There are three prizes in this category, with each being awarded £20,000. We aim to award at least one prize to a small scale project. 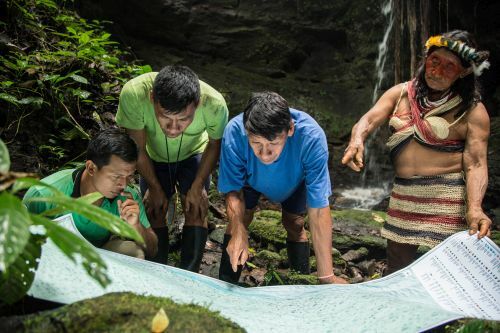 Alianza Ceibo (Ceibo Alliance) is comprised of members from four indigenous nations in the western Amazon that are together building a holistic movement to prevent the destruction of their cultures and rainforest territories. The Alliance was created in 2014 in response to oil fields polluting local water sources. 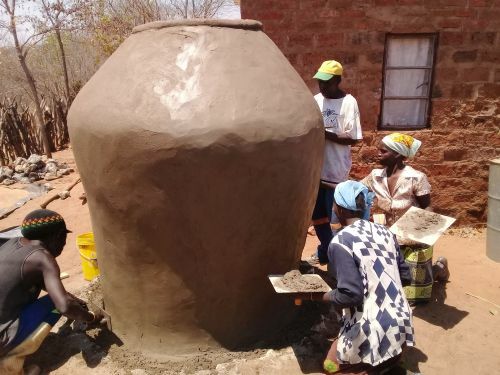 In the process of building rainwater catchment systems (to store water for irrigation and other uses), they learned of common threats facing them all. Create solutions to the destruction of local forests, including building solar energy in communities and the creation of women-led micro-enterprises to promote sustainable economic alternatives to rainforest destruction while preserving endangered food crops and medicinal plants. This integral cooperative was founded to reverse a process common to many rural Portuguese towns: population loss, the abandonment of agriculture and the decline of local commerce. Located in Montemor-o-Novo (a small town in the south of Portugal), Minga is creating tools that support the development of local circular economies, whilst aiming to operate in all sectors needed for living: the production of goods, services, housing, health, education etc. Minga has supported the creation of new businesses in different fields, including biocosmetics, ceramics, detergents, clothes and solar panel installations. It shares the administrative and management costs among its members and operates a financially sustainable shop that sells local products. It promotes agro-ecological farming practices and helps to organize production and distribution channels for local farmers. It shares a space that acts as a venue for socio-cultural activities and operates an internal currency that facilitates the exchange of products and services between members. Through its work, Minga promotes ‘degrowth’ principles that include: the deeper integration of humans in ecosystems, consuming less, reusing resources and sourcing locally, seasonally and slowly. Ecosystem Restoration Camps (ERC) exist to regenerate our soils, souls and societies. Camps are built on or near land that is degraded, and ‘campers’ who seek to learn how to restore natural and agricultural ecosystems, economies and communities are welcomed. Restoration techniques learnt are then shared with land owners surrounding the camps. The ‘ERC’ idea arose in 2016 when ecosystem ambassador John D. Liu began discussing the concept. This galvanised people from around the world and resulted in the organisation’s launch in February 2017. 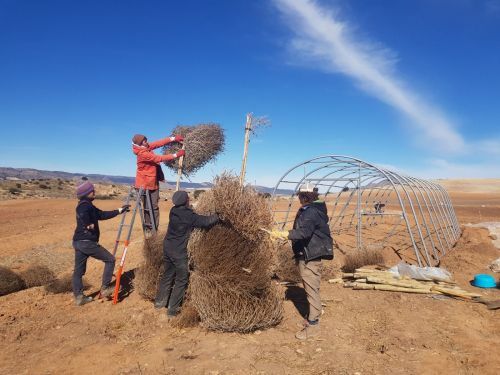 The first camp was set up in the Murcian region of Spain where people have been living and learning how to restore the land around them since June 2017. This camp is now in its second phase: having built soil carbon and soil organic matter content, retained water and increased biodiversity, it is now creating an agroforestry system using plants that are commonly used in the region. The system was designed to inspire other local landowners to think about how they can still farm the same crops but in more regenerative ways. A second camp is about to open in Mexico, and there are plans for camps in California, the Netherlands, Australia and Brazil. The Foundation also organises Re-Generation Festivals, where mass land-restoration activities are run alongside performances from world class musicians, theatre makers and artists. Farm Okukuna was established by the City of Windhoek and the World Future Council to improve food and nutrition security in Namibia’s capital. The City has provided three hectares of land in the informal settlements and hired a care taker. The local Eloolo Permaculture Initiative has designed the site and now runs a weekly Permaculture course. Farm Okukuna was founded on the belief that all Namibians can take part in shaping their environment to become more abundant and resilient in the face of great environmental and economic challenges. It seeks to develop urban Permaculture farming methods that are adapted to the challenging Windhoek climate. It also aims to inspire, inform and collect knowledge for shack dwellers on how to grow food around their homes in informal settlements. 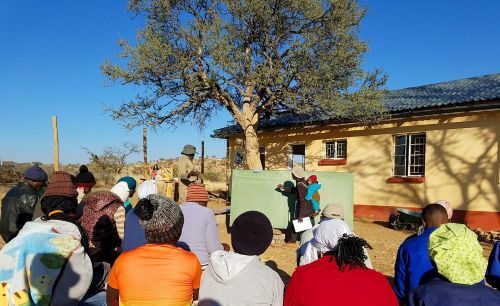 Rainwater harvesting, grey water systems, compost toilets and food and nutrition training, as well as the development of micro-enterprises and marketing support, are part of the project. 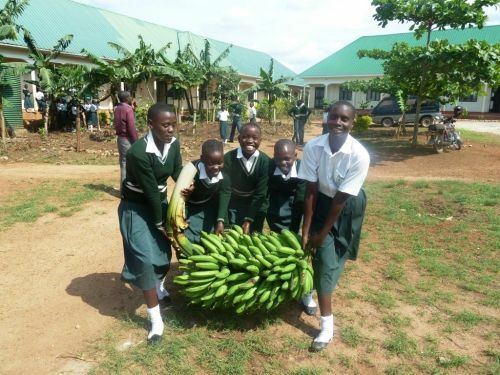 In time, Farm Okukuna hopes to become a nationally recognised local centre for programmes connected to food and nutrition security. 4. Sustainable livelihoods: creating equitable job opportunities for economic resilience, with workers’ voices shaping the organisation. In 2016, London Grown took over a site that had been derelict for 20 years. It has since facilitated a ‘Community Conversations’ process with local community groups to shape the project and has worked with over 300 young-people and adults to clear three acres of overgrowth, install water, build an eco-toilet and set up a one-acre garden. It runs twice weekly ‘seed to plate’ gardening volunteer sessions, nature-play sessions, a community market and a horticultural traineeship. 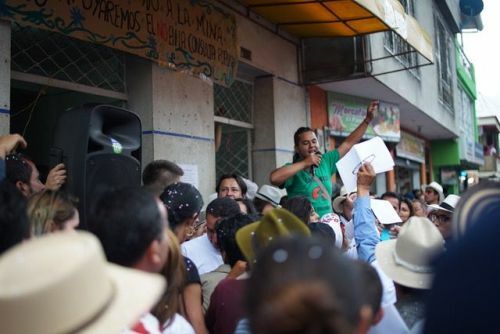 In 2013, a meeting was held with farmers and indigenous leaders from the region of Risaralda, Colombia. The meeting raised community issues around biodiversity loss, cultural disappearance, unequal distribution of land, food sovereignty and access to contemporary and ancestral technologies. 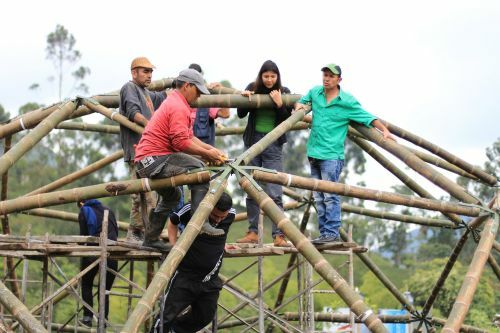 To address these issues, the artistic and research-based project Minkalab was formed on a farm near the village Santa Rosa de Cabal. It provides space for mutual exchange among local and international communities. The project combines current and ancestral knowledge about cultivation in order to bring this culture of “Buen Vivir” back to the countryside. 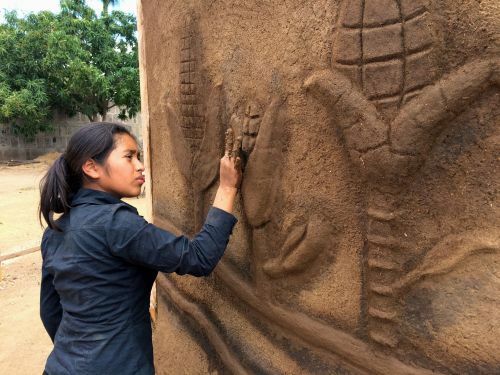 Since 2015, people from different backgrounds (including indigenous leaders, farmers, artisans, local citizens, artists, designers, cultural and environmental activists and theorists) have gathered together for a variety of activities. These have included workshops on different topics and an annual Minkalab event where up to 150 local and international participants come together. The Minkalab community has built a Maloka to host meetings, a dry toilet, a laboratory kitchen and ecological gardens. A 10-hectare reforestation plan has been created that uses native trees on a territory formerly used for stock-farming, and a year-long training program is being developed that will lead to a “Diploma de Cultivadores Culturales”. 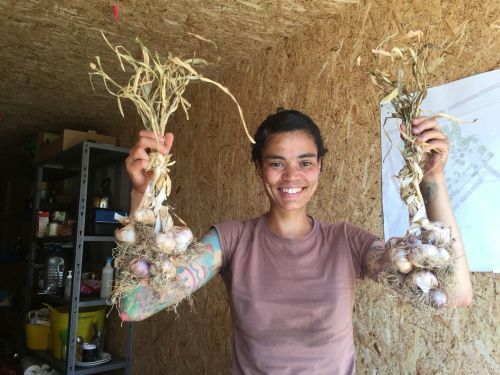 Based on a productive farm just outside of Athens, Greece, School of the Earth acts as a test site for Permaculture design applications and techniques that are adapted to the Mediterranean climate. After a four-year design and establishment process, the farm has also developed into an educational center on Mediterranean Permaculture. 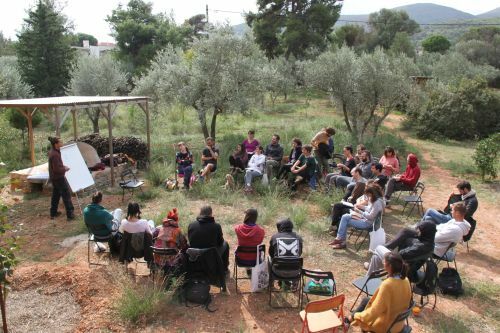 The School currently collaborates with ten Permaculture teachers from across Greece and is actively engaged in developing the Greek Permaculture network. Since January 2018, and as part of the ‘Mediterranean Permaschool’, it has trained 80 young people and supported many of them in applying what they have learnt to their own projects. 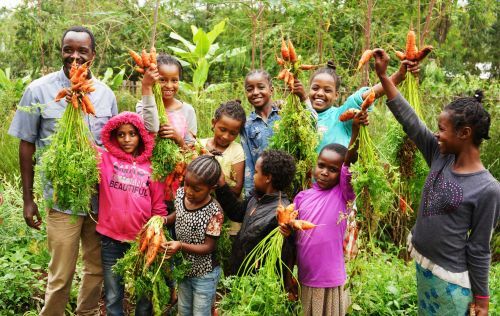 The School also organises awareness raising events and festivals and coordinates work exchange programs that support the application of Permaculture principles in the Mediterranean context. School of the Earth’s ultimate goal is to facilitate the emergence of a new local culture based on solidarity and respect for life as a whole. It aims to empower participants and enhance synergies that benefit local communities and their surrounding ecosystems. ‘Sfruttazero’ (‘Zero exploitation’) is a natural tomato sauce that is grown using agro-ecological farming methods. It’s produced by DaS in collaboration with the Association Solidaria in Bari and has resulted in job contracts for 25 people (including unemployed Italians and African migrants). A proportion of sales from Sfruttazero goes towards a fund for supporting the struggle of migrants that still live in Southern Italy’s ghettos. Diritti a Sud (DaS) is an Italian association comprised of people from different generations, social and cultural backgrounds. Its core philosophy is ‘Think Global Act Local’. DaS promotes a multicultural society through encouraging the meeting and exchange of different cultures – such as through cooking lessons, living libraries, a free Italian language school for migrants, and other public event. The idea of Sfruttazero is to change the system with a direct alternative. 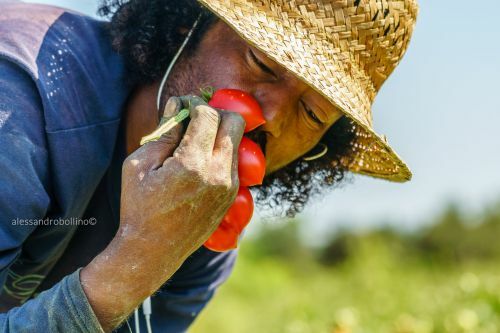 Sfruttazero shows that another kind of work is possible – work that respects nature and promotes human and workers’ rights in the local community. The Lucy Foundation uses coffee to create awareness around inclusion, accessibility and diversity. In 2016, it established Pluma Coffee Project, in an isolated coffee-farming village in Mexico with the aim of transforming the global coffee industry. 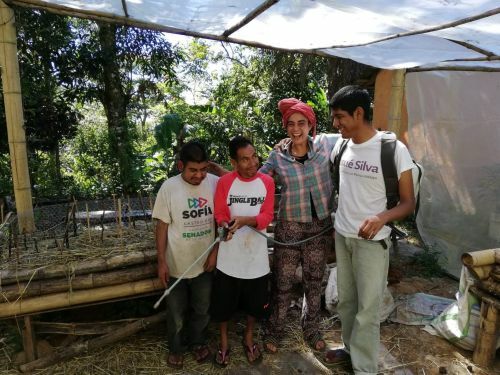 It sought to develop a regenerative value chain of coffee (good for the environment, the local community and economy, and also inclusive of people with disabilities). It works with indigenous coffee-farming families, all affected by disability, to help increase the quality and quantity of their coffee. It also helps disabled family members to become trained and employed within the local coffee industry. This work is driven by a belief that equitable opportunities for people with disabilities and other diverse life experiences, together with meaningful interactions between community members (regardless of identity), are hugely beneficial to community health, wellbeing and resilience. Alongside organic agricultural workshops, The Lucy Foundation has developed a local barista training program (delivered in sign language); has launched the first commercial batch of Pluma coffee and cascara (coffee tea) in New Zealand; and has created alliances with an exporter/importer, a roaster, a coffee training provider and cafes who strive to employ regenerative practices and who actively train and employ disabled people. The Yes to Life, No to Mining (YLNM) network was founded in November 2014 by a collection of community-based organisations and NGOs from Africa, Europe, Asia and Latin America. It was launched as a call to action, making visible the growing number of communities wanting to say NO to mining and resist an inherently unsustainable industry predicated on ecological and social harm. As a network, it exists to support its members in resisting unwanted mining and develop and protect life-sustaining alternatives. After its launch as a web platform, the YLNM network grew organically, with an increasing number of communities, organisations and other networks joining from every inhabited continent. These members began organising to support and amplify each others’ campaigns online, source funding for members, and provide reactive solidarity support in emergencies, for example in the case of Mongolian Earth Defender Beejin Khastumur. Leading a discussion within the movement on ‘post-extractivism’ and how we go beyond mining. 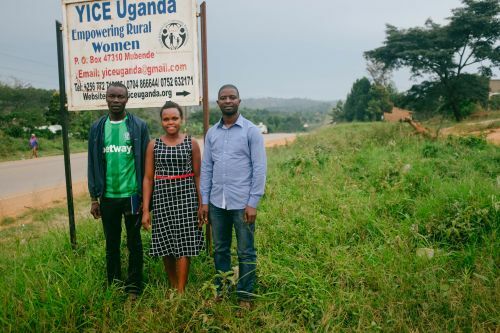 YICE Uganda works with refugees in Bukompe refugee settlement and the neighbouring communities, seeking to provide smallholder farmers with access to regenerative agricultural training and flexible financial services to reduce hunger and poverty. Bukome Refugee camp is one of the smallest camps in Uganda and attracts little attention from local government and development partners. The camp is home to over 2800 refugees, 75% of whom are women and children. 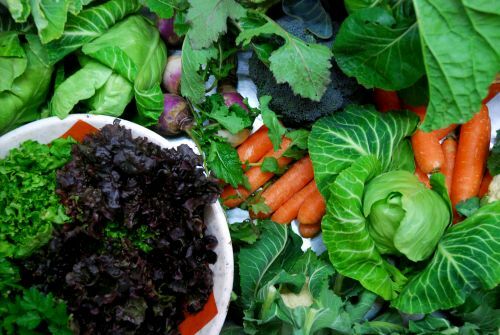 Over 90% of the households survive on small-scale farming and grow on the same pieces of land every season. They are consequently forced to use fertilizers and dangerous pesticides on their farms, which affects local biodiversity, degrades the soil, reduces food productivity and has led to food insecurity, poor child feeding and a lack of income. Massive deforestation for charcoal burning has also occurred in the area. YICE Uganda has been working in Bukompe refugee settlement to engage the camp’s residents around sustainable farming techniques (including Permaculture, tree planting and the production and use of organic fertilizers). Over 100 women farmers have been trained in Permaculture farming, and 20 Permaculture gardens have been established. Along Kampala - Mubende Highway.